SouTh Asian biRth cohorT or START is a study designed to understand why South Asian people (originating from India, Pakistan, Sri Lanka and Bangladesh) have an increased risk for developing diabetes and heart disease. A new study by researchers at McMaster University has found that some ethnic groups are more likely to be adding dangerous fat onto their internal organs like their liver when they gain weight, while others just add it to their waistline. The South Asian Birth Cohort Sub-study: Optimal Perinatal Health Behaviours from the Perspectives of Grandmothers- officially released by Canadian Institute of Health Research in the 'Video Talks' competition for 2016 and won the runner up award. I had a really good experience here. The staff gives proper attention to a patient. … I am really very thankful for this service. Thanks a lot. I am feeling great to be a part of this study. As a part of this, I received information on my height, weight, blood pressure and glucose status.I had the opportunity to ask questions and all of my questions were answered to my satisfaction. The study and work encouraged by your team is highly appreciated. It’s wonderful that the team is contributing their efforts to ensure that pregnancy is progressing in a right manner. With so much information available on pregnancy, it can become difficult for women to know how to best take care of their health -- What should I eat? How much weight should I gain during pregnancy? How can I improve my overall health during pregnancy? Health Canada and the Public Health Agency of Canada can provide concrete answers to your healthy pregnancy questions. Research has shown that people of South Asian descent are more likely to have high blood pressure and diabetes and are at greater risk of heart disease and stroke than the general population. 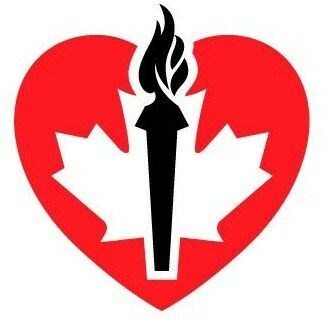 The Heart and Stroke Foundation has translated and culturally adapted some resources to help you understand the risk factors and warning signs for heart disease and stroke.